The top two-placed finishers from the tournament will go through to the WRWC 2017 in Ireland as Asia/Oceania 1 and 2. The winning team will take the spot reserved for Asia/Oceania 1 in Pool A alongside WRWC 2014 finalists Canada, the world’s number one ranked team New Zealand and Wales, while the runner-up faces faces games against France, Ireland and Australia in Pool C as the Asia/Oceania 2 qualifier. All three matches are to be played in Hong Kong, starting on Friday with a clash between the host nation and Fijiana on pitch one at the King’s Park Sports Ground. Four days later Japan play Fijiana at the same venue, before the concluding match sees Hong Kong up against regional rivals Japan at the Hong Kong Football Ground, on 17 December. Japan are the only one of the three nations bidding to claim those two qualification places to have participated on the Women’s Rugby World Cup stage before, albeit not since the inaugural two tournaments in 1991 and 1994. 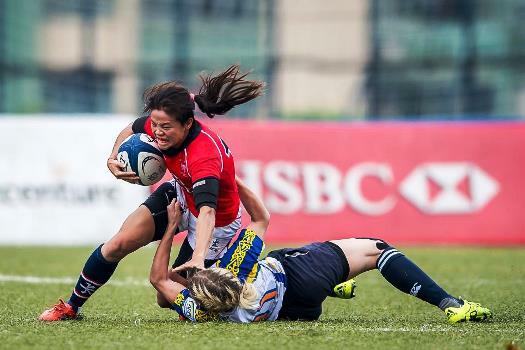 Hong Kong, however, go into the tournament in buoyant mood after a build-up campaign that was unprecedented in its scale and intensity, with two training matches against Kazakhstan – Asia’s regular representative at Women’s Rugby World Cups – last month. Hong Kong won both, winning the second match impressively, 37-10.